When a toner cartridge is running low or causing printing problems, it is not always easy to determine which cartridge is causing the problem. Fortunately, there are a few ways to find out which cartridge is empty or exhibiting an issue, so that you can narrow it down. If your printer has a control panel with a display, it will usually give an indication of the toner levels for each of the four cartridges in your printer. For many models, the toner levels are displayed graphically, so that larger bars indicate a cartridge that is more full, and shorter bars mean the cartridge is close to empty. A cartridge that is malfunctioning may have an exclamation point or some other error icon displayed. On a Windows computer, you can often check supply levels through the Control Panel. Click the Start button and click “Devices and Printers”, then right-click the icon for the printer and choose “Printer Preferences”. Click the Supplies or Maintenance tab if available. One of these tabs may give an indication of the supply levels. The support software that is installed on the computer will usually also give an indication of toner levels, helping you narrow down the cartridge that is low. Check your manual for specific instructions on how to access these features, as it varies from model to model. Most often, if the toner levels are not displayed by default, they may be under a tab or menu item labeled Statistics, Maintenance, Supplies, or Toner. For networked printers, many include a web interface, which can be accessed through a web browser. This interface usually shows a lot of useful information, including toner levels. Instructions for accessing the web interface can usually be found in the printer’s manual. 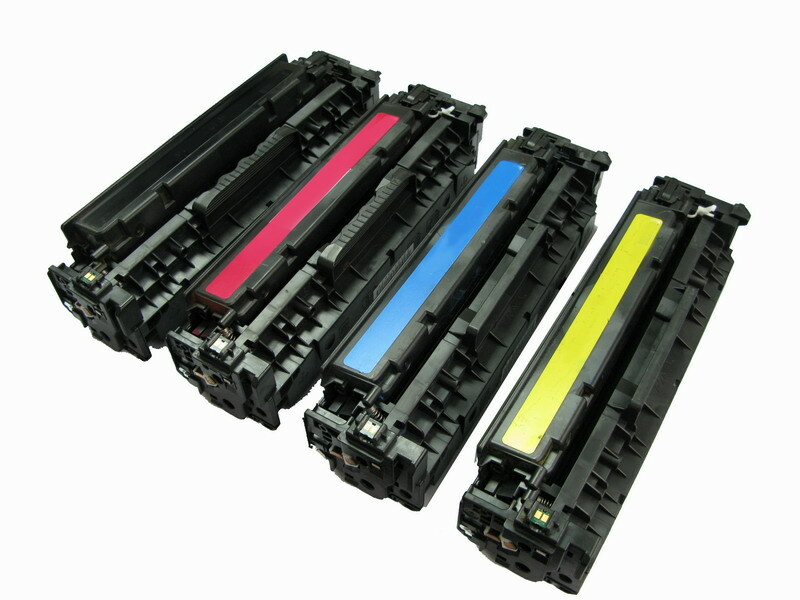 Many laser printers can print a Supplies Usage page which offers a breakdown of the toner levels for each cartridge. You should consult the manual for exact instructions for your model, but most HP printers and many others use a similar process. You simply hold down the Resume button for about two to three seconds, and the page will start printing. If none of the procedures is any help, the last thing to do is print a test page which includes the colors of all four toner cartridges. This sample test page in PDF format can help to pinpoint the empty or problematic cartridge. Notice that this test page includes the four colors of typical laser toner cartridges: cyan, magenta, yellow, and black. After printing the page, if one of the colors looks particularly light or is missing, that cartridge is nearly empty. If one of the colors is uneven or has streaks, this could be an indication that the cartridge is failing and may need replaced. Once you have located the troublesome cartridge, you can replace it if you believe it is empty, or try shaking it to loosen any stuck toner, then reinsert and print a test page again. If you know the cartridge is not empty and you are still having problems, you can read about Possible Reasons Your Cartridges are Not Working for possible solutions.